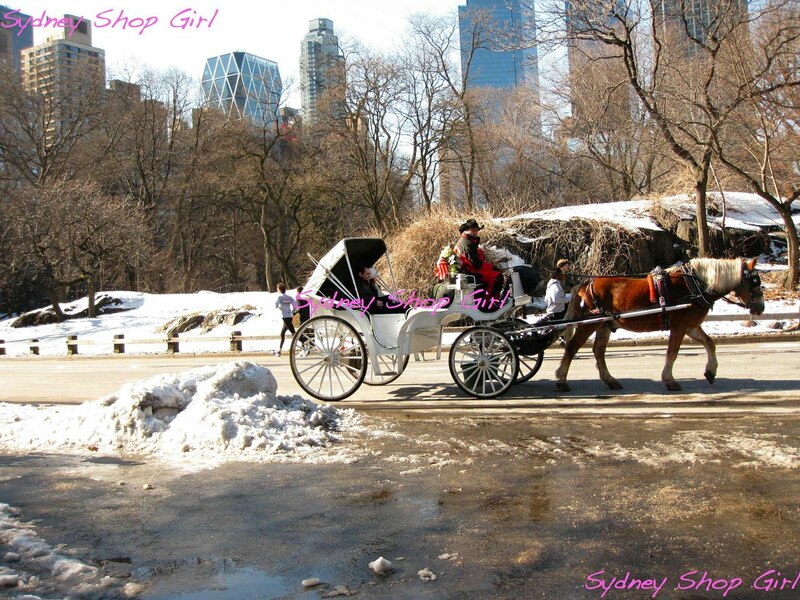 Sydney Shop Girl: The Massive Internal Restructuring Continues. A Return To Homecooked Dinners. The Massive Internal Restructuring Continues. A Return To Homecooked Dinners. After yesterday's mass emptying of the SSG Manor wardrobes, I was determined to maintain my decluttering momentum by whatever means possible. 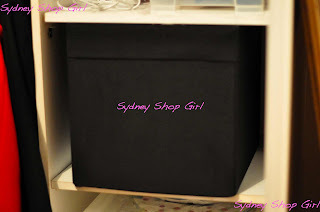 Which required me to brave the Sunday morning crowd at Ikea to get the last few boxes to make my clothes as organized and easy to locate as possible. 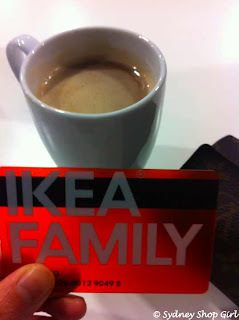 My free mug of Ikea coffee did the trick and I was soon buzzing through the self pay station with everything I needed. 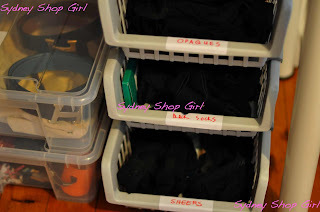 trying to find matching work socks moved me to tears on many occasions - do you know how painful it is to have to get out of your trousers and then find a skirt and stockings at short notice? 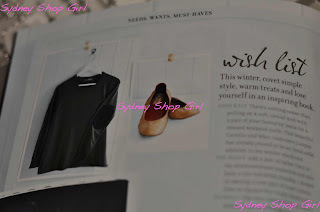 despite all this, I'd still get vague feelings that I still needed to go shopping that weekend (I think that was my subconscious using retail therapy to manage my wardrobe chaos anxiety). So, I tackled all these problems head on today and I think I've found a system that works for me. 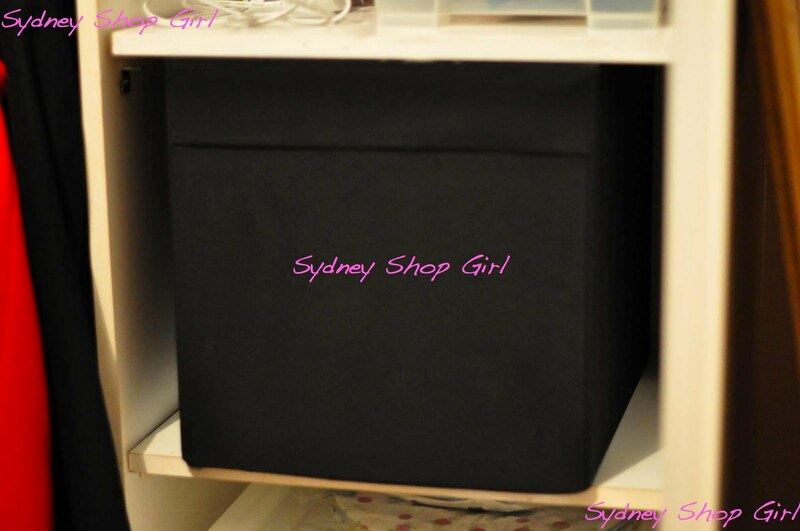 Everything that isn't on a hanger goes into one of these pull out boxes with a sheer front. 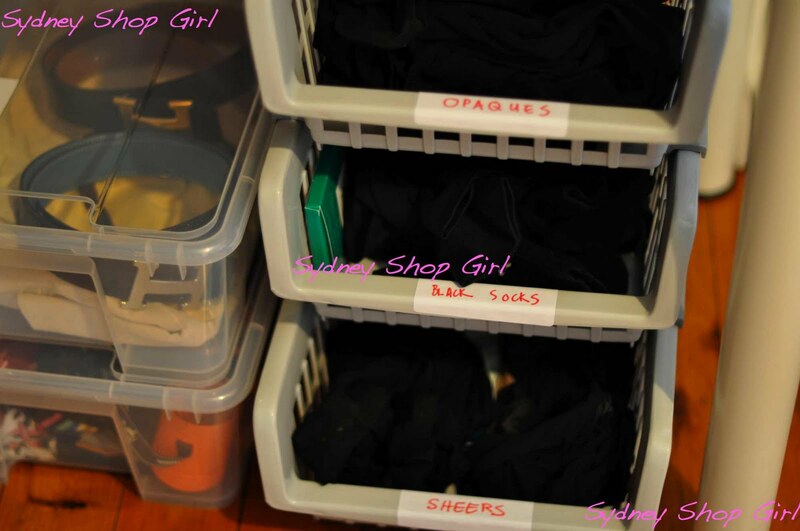 Eventually, I'm going to put tags on the front of each box to make sorting the washing easier. It's going to be a craft session for another day. Perhaps one of those afternoons on the long weekend that is only one more weekend away. Then I halved the handbags floating around (they occasionally dropped onto my head as well) by storing those that don't get used much in their boxes at the very top of the wardrobe. 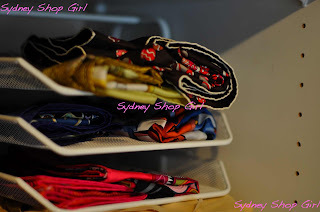 I found all my scarves! I'm using this document organizer from Ikea as a set of shelves. Don't worry, I went back and lined each 'shelf' with tissue paper. The only problem is, I think there's still heaps of room for more scarves on each shelf. That black hole of black bottoms? Sorted. I now have a basket system which is labelled. One for opaques, one for socks and one for sheer stockings. I feel so calm looking at this photo. Knowing that all my working days from now on will begin with my feet apropriately covered, if nothing else. I then sorted out the rest of my clothes and stowed anything summery in fabric 'drawers' that sit in my wardrobe shelves. Out of sight, out of mind (and potential confusion) until next summer. It hasn't all been ruthless efficiency this weekend. After 2 weeks away, I decided to get back into that quaint routine of cooking dinner. 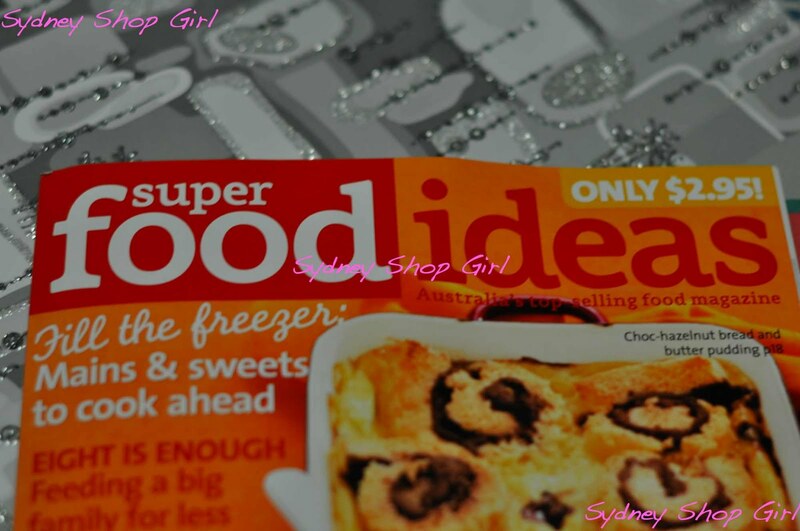 If your haven't had a look at the latest issue of Super Food Ideas, I strongly urge you to do so. There are so many good and practical recipes if you're short on time and imagination but still want to cook something a little different for dinner. I've had great successwith the 2 recipes I've tried so far. I made the Spicy Tortilla Soup on Friday night. 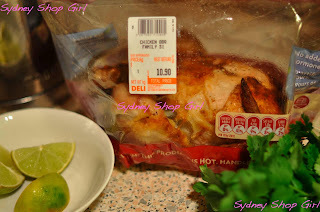 You know my feelings about Coles' rotisserie chickens. To me, they are synonymous with the words 'shredded cooked chicken'. 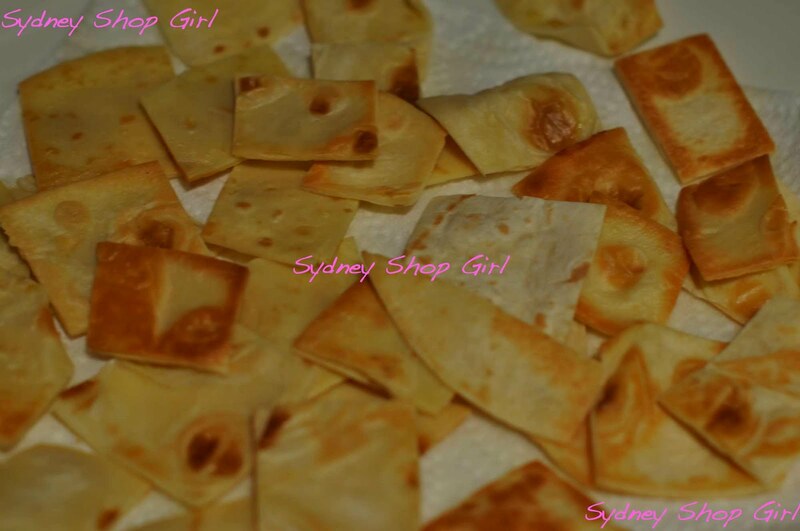 The recipe calls for shallow frying cubed tortillas as a Mexican crouton ('Mexiton'?) for the soup. The lazy half of my brain was very tempted to use corn chips instead but don't. The extra effort is worth it. The tortilla chips go in the base of the bowl and then the soup. The garnish is sour cream and a mix oc corn kernels and coriander. It's a liquid taco and you have to have the sour cream. This soothing soup helped transition Mr SSG and I out of our North American Vacation diet as we try to cope without cake and cream based desserts for both afternoon tea after dinner. The second dish I tried was the lamb and lentil stew. Isn't it lovely that winter brings with it a fall in the price of lamb? 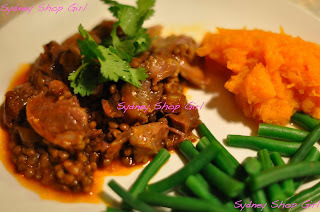 This stew was made with lamb shanks, canned lentils and a few teaspoons of Morroan Spice mix (amongst other things). Again, another major success. The lamb was very tender and a little caramelized and went perfectly with a simple pumpkin mash and green beans. Central Park without the Donna Hay effect. Still magical. As I mentioned last night, I took the current issue of Donna Hay magazine with my sore back to bed rather early last night. The New York City feature was beautiful. 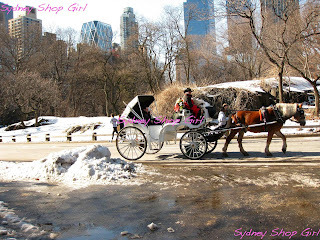 There were pretzels, cod and potato dip and chocolate whisky truffles as well as some breathtaking photos of Central Park under a blanket of snow. New York City is just one of those places, isn't it? Everyone who lives there or visits it has their own photos that say everything about the city to them. In other news from the issue, Lanvin flats are on the wish list! Just thought I'd slip in that fashion reference. It has not been a high fashion weekend for me at all, I don't think I've been separated from my Explorer socks for any longer than it takes to have a shower and get dressed again. 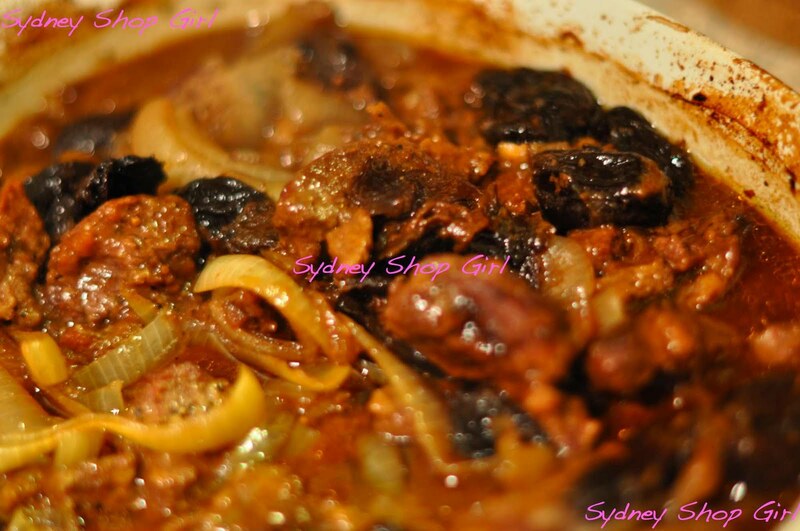 This week, A Farmer's Wife shared her recipe for beef casserole. It's been tried and tested in many a country kitchen and has origins in both her and her husband's families. So it must be good. Mine has just come out of the oven and I'm getting ready to serve it for dinner. The house smells fantastic. Thanks again, AFW, you're The Source for country cooking. PS: we've just had dinner. The beef casserole was even yummier than it smelled. The roasted prunes had a salty/sweet flavour and the gravy was rich and full of flavour. 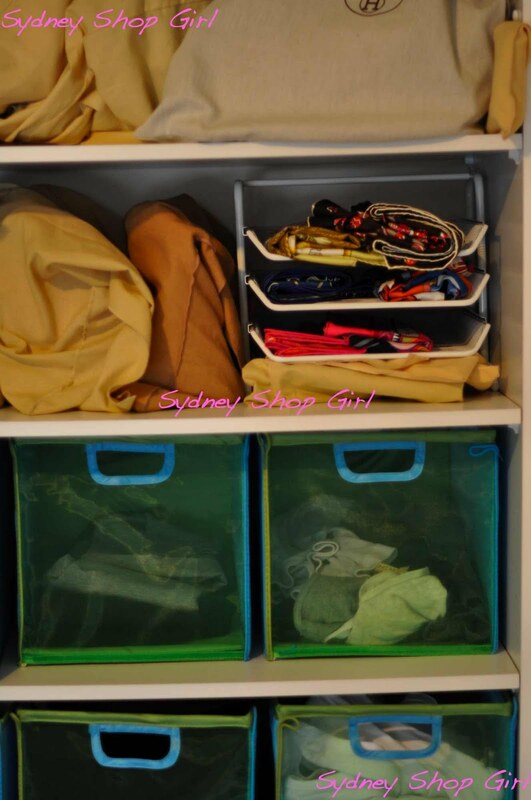 Great new storage system :) Will make the morning madness that much easier for you. I haven't bought SFI in a long time, I used to religiously buy it and cook out of it every month. Glad you liked the beef. On high rotation here. Very impressed with the wardrobe sort out. Quite jealous actually. That casserol sounds amazing!!! If she's the go to for recipes then I'm there with bells on!! 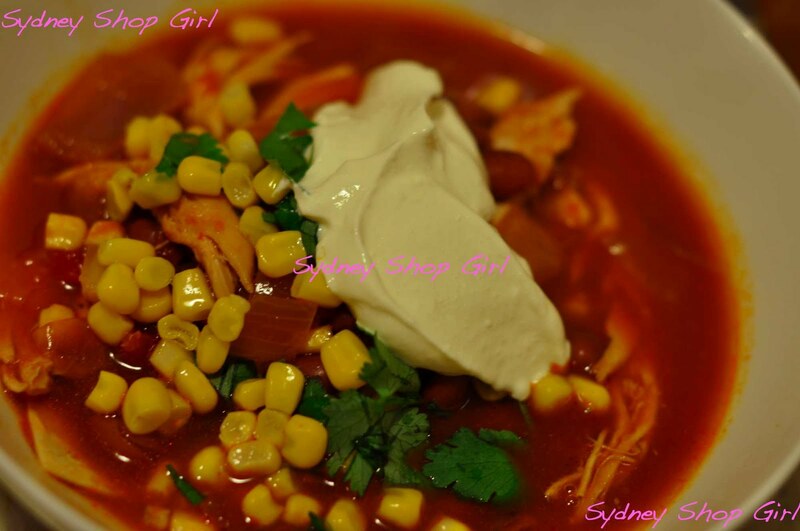 Love the idea of Spicy Tortilla Soup, tempted to whip this up I guess if you put the bits into seperate containers it could be a "fancy" dinner for work. 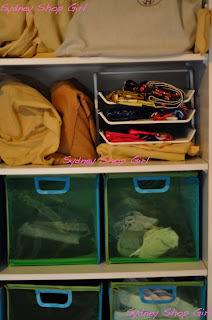 Your wardrobe - I am LOVING the organization!!! Just today I've been looking at our dressing room thinking it needs a major overhaul. I hope that new organizational scheme brings you happiness for months and months. I bet it will. Sounds wonderful and very New Start-ish. Well done with the decluttering thing! I wish I could do it better. I love the feeling after throwing things out though! Good on you for organising your wardrobe. ive been meaning to do mine for so long but i find it so overwhelming and never get though it. im loving the hawaii posts. i miss it so much. its such a special place. i love the cheesecake factory. i want to cry now looking at your photos. the banana cheesecake was my favourite in the end. also, i am obsessed with my qantas pjs. they are the best pjs ever. i only where them now. they're just so comfy and stretchy and perfect. Diamond Head. The Cheesecake Factory. Top End Thoughts and Images. Surviving the Cold and Loving Departures. Waiting For History To Be Made. Listography - My Top 5 Simple Pleasures. One Week to Honolulu. The India Hicks Life.